How Mr. Robot’s incredibly detailed Easter eggs come together. 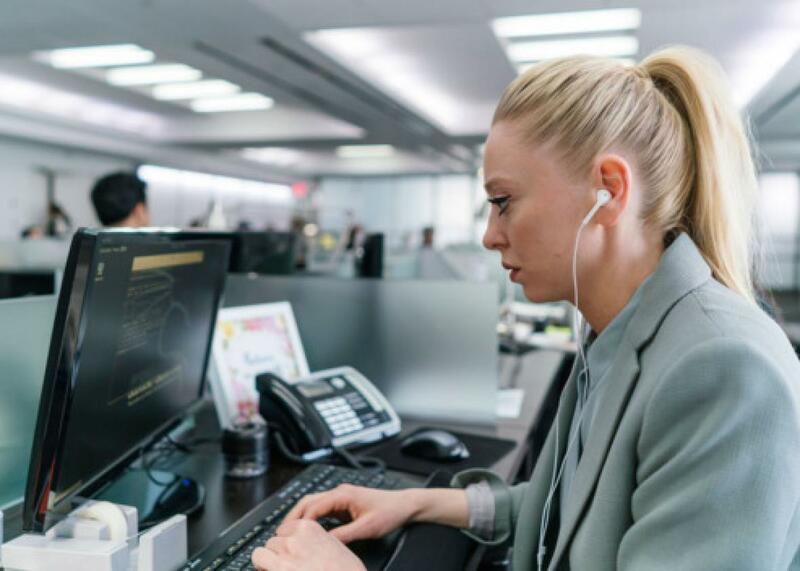 Portia Doubleday in Mr. Robot. Kor Adana has always had grand ambitions for Mr. Robot. When Sam Esmail’s then-assistant first read the script for the show’s pilot, he realized that he had the chance to accomplish something unprecedented in the history of television: creating a series that was fully interactive. “I wanted to make Mr. Robot hackable,” says Adana. Adana means Easter eggs, which have for decades been a staple of TV shows, films, and videos games. Easter eggs would typically include a phone number in a scene that, when dialed, led to an automated message, or a URL address that was actually a real website. “You rarely see IP addresses that go anywhere,” says Adana. After he joined the crew, and particularly when he was promoted before the second season from assistant to the show’s lead technical consultant, Adana thought about how Mr. Robot could flip television’s paradigm—to essentially create an alternate reality that exists within the show and is occurring in real time. Conceptually, Adana’s goal seems simple: Any number, QR code, bar code, host name, or IP address that appears on the show also has a counterpart in real life. Plug that information into a browser, and you’ll go to a website. Freeze-frame a scene, scan the code, and it will lead somewhere. (Decider has a good breakdown of many of these Easter eggs here.) Though the phone numbers are fake—Adana says NBCUniversal warned him of the risks of using real phone numbers—everything else is accessible in some form. “I wanted to give the viewer as much control of this story as possible, and have them really feel like they are a part of this narrative,” says Adana. While Adana has always been fascinated by Easter eggs—he used to obsess over “hidden secrets and clues” in shows like Lost and Battlestar Galactica—the inspiration for Mr. Robot’s challenge came from Def Con, a hacking conference held annually in Las Vegas. Def Con hosts an intricate and multistep code-solving contest each conference, which draws attendees who don’t even bother to go to any of the panel discussions or demos. “They’ll spend a whole week in a hotel room trying to break this code,” says Adana, who thought Mr. Robot’s expansive Easter egg rollout would appeal to the show’s problem-solving–hacker viewer. The execution, though, hasn’t been easy to scale. When he first put in his initial requests to purchase IP addresses and domain names, the network was hesitant. “I was just an assistant working with a first-time showrunner on a show that hadn’t even aired or become successful,” he says. “They thought ‘Who is this guy bothering us?’ ” The first season only highlighted fake IP addresses—a setback for a show that has set the bar for technical accuracy. While Esmail argued on behalf of Adana’s request, even he conceded, telling Adana that it was better to have fake IP addresses than no IP addresses. That didn’t stop Adana from sneaking in nontechnical Easter eggs—the names of several of the arcade games at fSociety’s HQ, like Lulzsec and the Lizard Squad, were named after hacking collectives. Adana is the only member of the crew responsible for placing the Easter eggs—at least one or two are planted per episode—and while Adana is hesitant to reveal the scope of the show’s challenge, he admits hundreds of IP addresses and domains have been purchased and featured (which means that every website, even if it briefly seen on screen, is owned by Mr. Robot). Since Adana advises and helps write each script’s technical aspects, he knows the specifics of where each Easter egg should go. He’ll work with the show’s animator (Esmail prefers not to add in anything during postproduction, so the actors are actually looking at real code during any scenes with a screen) and plug in the relevant information. If the Easter egg hasn’t been devised yet, the animation will still be built as a placeholder until the domain name, cipher, or code-breaking sequence is created. At that point, the animation is redone and the scene is reshot. Others are more daunting: An Easter egg hidden within “eps2.1_k3rnel-pan1c.ksd,” which aired in late July, still hasn’t been solved, which Adana knows because Easter egg obsessives and other fans of Mr. Robot constantly reach out to him via Twitter or Reddit. Even the half-dozen or so consultants who help orchestrate the hacks and plan out the technical details aren’t cued into the Easter eggs. When they do crack a code, they’ll send Adana a link to it with a smiley face emoji.